The chairman of Maltese-registered Pilatus Bank has been arrested on US charges that he participated in a scheme to evade US sanctions and funnel more than $115 million paid under a Venezuelan construction contract through the US financial system, US federal prosecutors said. Ali Sadr Hashemi Nejad, 38, was charged in a six-count indictment filed in federal court in Manhattan accusing him of a role in a scheme to evade US economic sanctions against Iran, prosecutors said. His arrest happened on the same day that Maria Efimova, a former Pilatus employee who claimed the bank held evidence that the Prime Minister's wife Michelle Muscat was the ultimate beneficial owner of Panama company Egrant, surrendered to Greek authorities. The claims had been reported by slain journalist Daphne Caruana Galizia. At the time, Mr Nejad had been filmed at night carrying two bags out of the bank using the emergency exit. He went straight to the airport. Sadr was arrested on Monday in Dulles, Virginia, according to court papers. A lawyer for Sadr declined comment. Prosecutors said Sadr's family controlled an Iranian conglomerate called Stratus Group, which had international business operations and that led a project to construct thousands of housing units in Venezuela. The project stemmed from agreements that Iran and Venezuela entered into in 2004 and 2005 calling for cooperation between the two governments in constructing housing units in the South American country. The indictment said an Iranian company that Stratus incorporated called Iranian International Housing Corporation entered into a $476 million deal in 2006 with a Venezuelan state-owned energy company to build 7,000 housing units. Sadr belonged to a committee overseeing the project's execution, prosecutors said. They said Sadr took steps as part of the project to evade US economic sanctions by concealing the role of Iran and Iranian parties in payments sent through the US banking system. 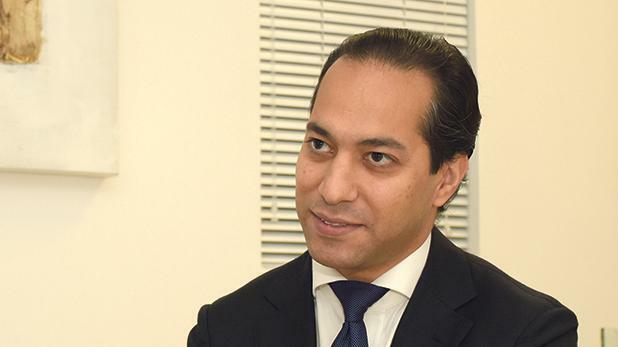 "As alleged, Ali Sadr Hashemi Nejad created a network of front companies and foreign bank accounts to mask Iranian business dealings in Venezuela and evade US sanctions," Manhattan US Attorney Geoffrey Berman said in a statement. The Venezuelan energy company made $115 million in payments to Iranian International Housing Corporation using entities in Switzerland and Turkey to conceal the Iranian connection to the funds, prosecutors said. Placards have been placed outside the FIAU office in Attard and Whitehall Mansions, where Pilatus Bank is located. Sadr faces six counts, including conspiracy to defraud the United States and conspiracy to violate the International Emergency Economic Powers Act. Pilatus Bank was in litigation with Daphne Caruana Galizia, who was murdered last October, over her articles accusing the bank and Ali Sadr of facilitating corrupt political activities and money laundering. The bank said the articles were false and defamatory. 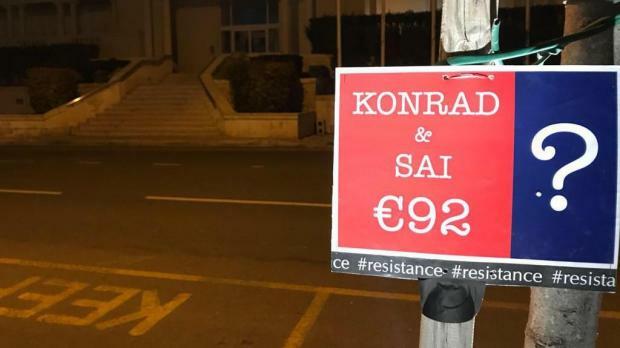 The news, which broke in Europe in the dead of night, was quickly picked up by local activists, who placed placards outside the offices of Pilatus Bank and that of Malta's FIAU. 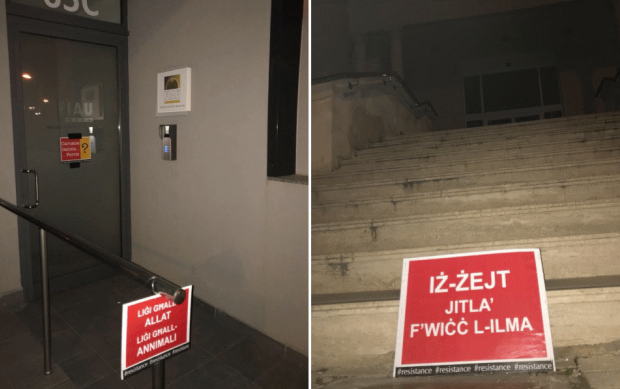 "One law for the gods, one law for the animals," read one left outside the FIAU's Birkirkara offices. Another placard outside Whitehall Mansions highlights the €92 deposited inside Konrad Mizzi's Panama company.